This week, as I was screening one of my first grade students for his present levels of performance for his upcoming annual review, I realized I didn’t have anything to measure how he felt about his speech. 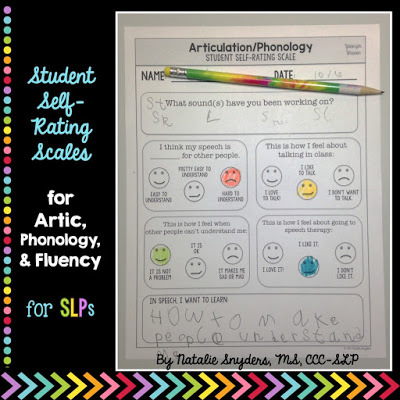 Sure, I have my progress monitoring tools for phonology and articulation that tell me objectively he has made gains in his speech sounds over the past year, but I realized that I never really stopped to ask him how *he* felt about his progress. As my student is still fairly young, I knew I needed something with simple visuals, but also with some open ended questions. 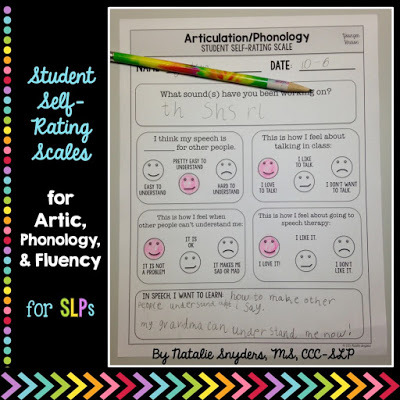 Thus, my Student Self-Rating Scales for Articulation, Phonology, and Fluency/Stuttering were inspired! There are four versions for both artic/phonology and fluency. There are two pages with smiley face visuals (appropriate for preschool through about 2nd grade) – one is for a student currently enrolled in therapy, and the other is for a student who has not yet begun therapy. 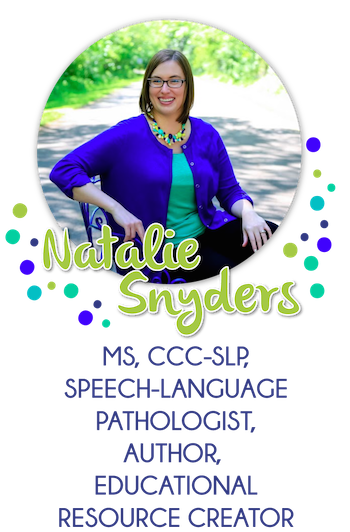 There are also two pages for older students (3rd grade through high school) – again, one for a current student, and the other version for a new student to therapy. 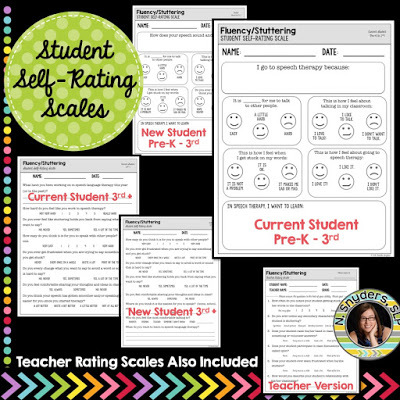 Also included are two pages of teacher rating scales (one for artic/phonology and one for fluency). There are a total of 10 pages included. As I filled these out with some of my students this week, I was really quite surprised some of my students’ responses. My most severe phono student is well aware that people have a difficult time understanding him, but it doesn’t bother him a whole lot when he has to repeat himself. Another student who has a few sound errors (but I consider to be fairly intelligible) feels much more upset when others don’t understand him. 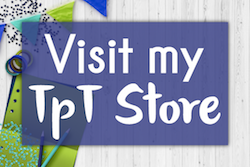 I plan to use these at the beginning and end of the school year, as well as before any IEP meetings. 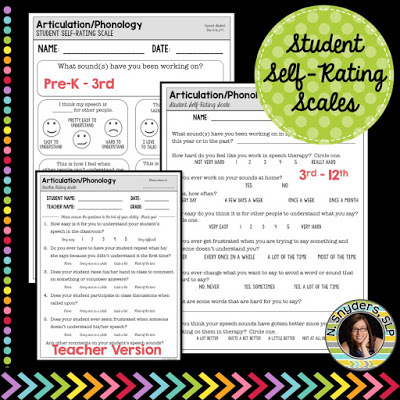 I feel like these rating scales have helped me fill in a missing piece to my overall therapy as a school based SLP. 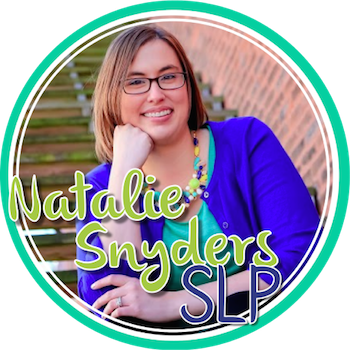 Progress isn’t just measured on percentages and how much better a child can say her sounds this year than last year – it is also about how the child feels about her own progress. Tell me, is this something you feel like you could use? « Quick Tip for the Dreaded /r/! Yes! I feel especially with older kids who are on the verge of dismissal, that if they don't have a problem with their speech they r less motivated to fix it! This happens constantly in middle school and high school! Even with older elementary! Do you have anything like this for language? I work with middle school students and this is HUGE.